Home Modern Mysteries Hoer Verde, the town with 600 inhabitants that vanished! Hoer Verde, the town with 600 inhabitants that vanished! 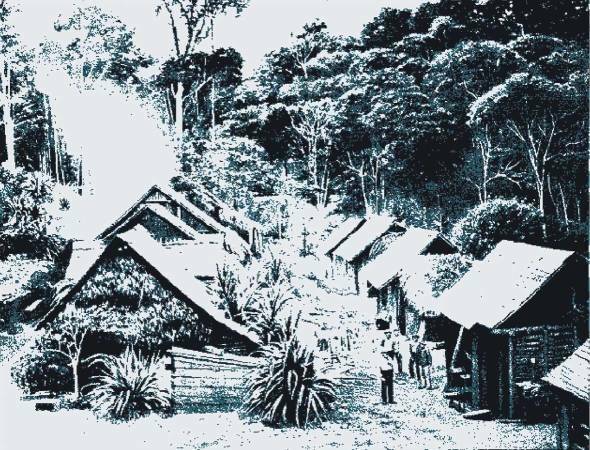 In 1923, more than 600 people vanished from the village of Hoer Verde, Brazil, and still to this day there is no explanation for the mystery. Travelers who cut through the town discovered all the buildings, including the well-built homes, were abandoned. There were no signs of an ambush or kidnapping – just creepily a school blackboard which had “There is no salvation” written in chalk. A manhunt began for the villagers and one popular theory was all the villagers fled due to the political climate in Brazil and they feared conflict with guerrillas. Despite this theory being believable, nobody can understand how 600 people could be not be found inhabiting somewhere else. Conspiracy theorists have blamed alien abduction but again it’s another mystery that may never be explained. The Mysterious legend of Hoer Verde, the town with 600 inhabitants that vanished is certainly confusing and troubling. Like so many legends from the area, information on Hoer Verde is difficult to track down. But what information is accessible is not only disturbing, but incredibly perplexing. As visitors to the village entered the small town they were immediately struck by how dead everything was. Unlike other villages of six hundred no one was walking through the streets. Hanging signs waved in the gentle wind creaked noisily juxtaposed with the uneasy footsteps and uneasy and subdued whispers of those passing through. As they passed by local houses and looked in the windows it was evident immediately that something wasn’t right. No one was anywhere to be seen. The police were called, and investigators descended on the town to look through the village. As they came to the town’s school they found a gun, which they took to be forensically examined. And then the investigators looked to the blackboard on which the words, “There is no salvation” were written. After a cursory examination, they realized that it had been fired the day before, but by whom they were unsure. A manhunt ensued for the 600 villagers in the small town. Despite this, no trace of any of the locals was ever unearthed. To date it is considered an unsolved mystery. As newspaper reports of the town’s disappearance reached the west it was considered a curiosity, but with the shifting political climate of Brazil in 1923 it was considered possible that the town had evacuated to avoid conflict with guerrillas. Artur da Silva Bernardes had been elected the year before, and faced a political siege throughout his term. But political evacuations are by no means unheard of. And those who leave a village abandoned always turn up elsewhere. If they had simply left the town, where did they go? Others contend that it’s possible the town was attacked. This too leaves a perplexing mystery. Another mysterious element is the original language of the phrase “There is no salvation.” Though the phrase has been largely translated into English, the phrase holds little significance in English or Portuguese. However, if the words had been “Illic est haud salus.” in Latin or some variation of it, this could have been related to the phrase “Extra Ecclesiam nulla salus” which is a Catholic phrase meaning “Outside the Church there is no salvation.” If this was the case in a largely Catholic area, the lesson could have been a religious lesson which was interrupted by some unknown force, but with no specific significance itself. Many references to this story exist, but most seem to be derived from a simple article translated from Russian. This lack of information is one of the more perplexing elements of the Hoer Verde case.